If you are really into woodworking you might be willing to spend 3 days salary on a really good block plane, but most of us probably won't. We will spend enough to get an OK plane and complain about the cut quality later. LeeValley has a simple way to improve your plane, and that is to use one of their replacement plane blades. Whether you just need a new blade for an old block plane or you are looking for a better performing blade, LeeValley has them. You can get good shavings off of cheap planes, but you might have to spend some time truing them up. However, the biggest problem with cheap planes is the cheap blades that come with them. You might be able to give them a razor sharp edge, but it probably won't last very long. LeeValley has a number of blade choices that fit Stanley or Record planes, and they come pre lapped on the face side to a flatness tolerance of .0005". These blades are also .080" thicker than stock blades to help reduce chatter. 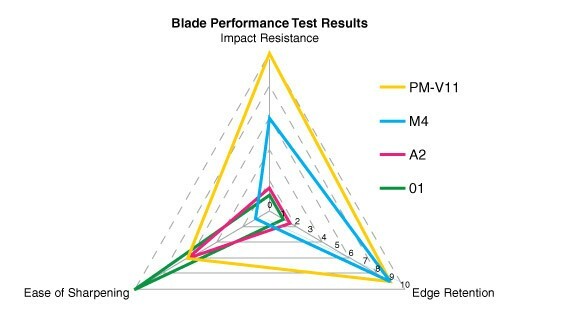 LeeValley has blade steel choices that include A2, O1 or their new PM-V11. A2 is a higher carbon steel that offers better edge durability. O1 can be sharpener more quickly, but will have to be sharpened more often. PM-V11 is a new steel by Veritas that offers an edge that last twice as long as A2, but can be sharpened as just as easily as A2. Starting at about $30, these blades might cost more than your block plane, but it might be worth the upgrade.